Hours change seasonally. Call for more details. Entering through rich hand carved wooden doors you are surrounded by authentic Tuscan materials and design. No effort or expense has been spared to bring you the feel and architectural splendor of Italy. 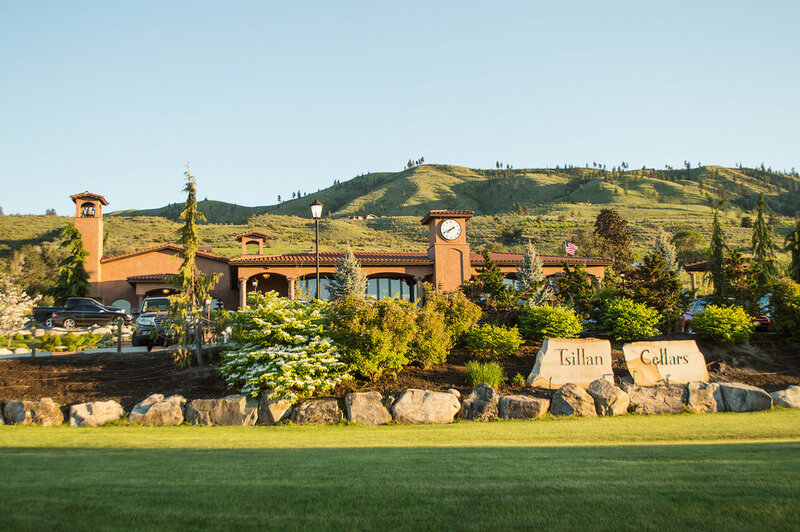 Producing an annual average of 6,500 to 7,000 cases of wine each year, Tsillan Cellars is the largest producing winery and largest estate vineyard in the Chelan Valley, and thus, is the crown jewel of the young and rapidly growing Lake Chelan wine tourism industry. The 135 acre estate is cultivated with attention to the finest viticulture techniques with an eye to producing award winning wines. A wide variety of premium wine grapes are presently planted on the estate including, Sangiovese, Syrah, Merlot, Malbec, Nebbiolo, Barbera, Cabernet Sauvignon, Cab Franc, and Grenache, Chardonnay, Pinot Grigio, Riesling and Gewurztraminer. If any variety does not meet the standards of our winemaker, it will not be bottled. Each block of grape vineyard is continually evaluated and those varietals that do not meet their high expectations will be replaced with those varieties proven to be most compatible with the land (terroir) and climate. Finer dining at it's best view on a hillside vineyard estate. Sitting indoors or outdoors and you'll have a spectacular view and delicious dining and wine tasting experience. Indoor/Outdoor seating. In winter, the inviting Italian fireplace, panoramic views of Lake Chelan and snow clad mountains blend with award winning food and wine to leave indelible memories. Outstanding ambiance, food, wine and service—four reasons Sorrento’s Ristorante at Tsillan Cellars was named OpenTable Top 100 Scenic Restaurants in America in 2014. DINNER Daily – 5 p.m. to Close, LUNCH Monday-Saturday 12 p.m. to 3 p.m., SUNDAY BRUNCH 11 a.m.to 3 p.m. In addition to wine production, Tsillan Cellars hosts a wide array of concerts and events during the prime summer tourism season. The winery, waterfalls and the Lake Chelan landscape create an incomparable backdrop and natural amphitheater for our select world-class entertainers during our Summer Concert Series. Future plans for Tsillan Cellars include an authentic Italian marketplace, herb garden, wedding gardens, Tuscan wine spa and Italian-style resort villas. The latest addition to Tsillan Cellars is a 4,000 square foot glass pavilion surrounded by 23 Tuscan columns. The pavilion displays all the elegant architectural features of the tasting room and is designed to accommodate indoor/outdoor dining and wedding events. Featuring an inviting Italian fireplace, radiant floor heat and the ability to enclose the entire facility in glass makes this an unmatched all season venue. Let Tsillan Cellars play host to your next special event or social gathering. This is the time to make reservations for your company or office party, family get-a-way or reunion, special birthday, baby shower, or an anniversary or wedding rehearsal dinner. Whether an intimate dinner for 2 or a celebration of 100, Tsillan Cellars has the ambiance to make your occasion memorable. 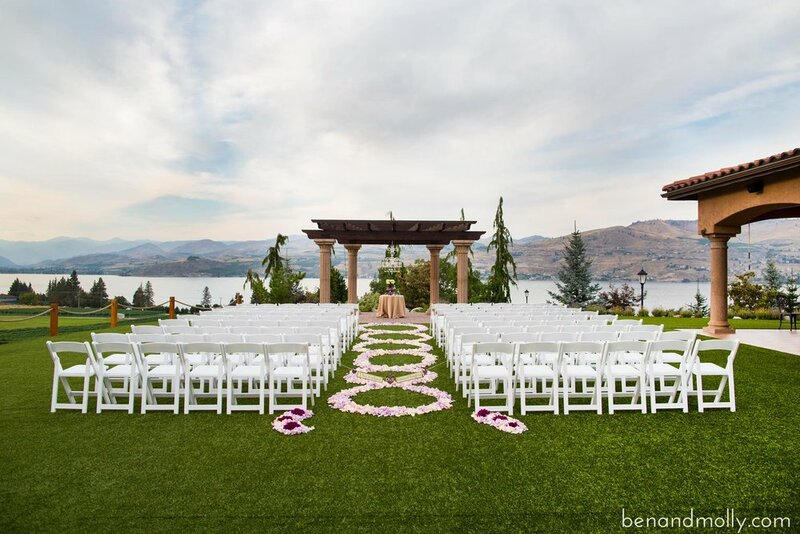 We are a complete event facility: Tsillan Cellars is prepared to be involved to assist you in the planning process at your event. Our General Manager, Dave Moore, will be happy to assist you with any questions or special requests you may have. Please take the time to book your special events now while dates are still available.